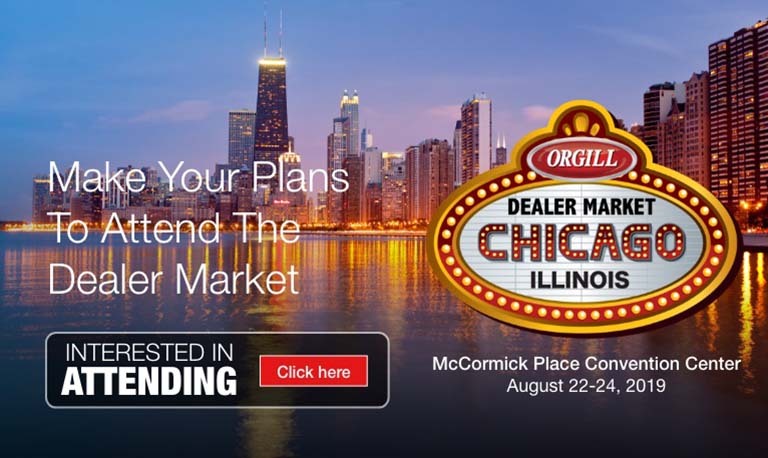 Why Should You Attend an Orgill Dealer Market? There’s plenty to see and do at Orgill Dealer Markets. Here’s just a few reasons why you should be there! At an Orgill Dealer Market, you’ll discover prices and deals you won’t receive any other time of the year. There are plenty of promotional areas to visit, including Coupons, New Items, Market Busters, the Flash Market and more. Find discounts on products new to the warehouse, or get low, low pricing on closeout items. These prices will help you compete with the boxes and increase your margins. Walk through these promotional areas and find the products you’d like to add to your inventory—and discover ways to increase your overall profitability, too. Dealer Markets offer the perfect opportunity to see the latest and greatest new products in the industry. Maybe a new product is an item that fills a need, or perhaps it’s one that uses the newest technology available. Either way, your customers are going to be interested. So take some time at the show to discover what’s new. You’ll be able to see items up close and try them out, all while taking advantage of great Market-only pricing! Take time to visit with your regular vendors and also meet with some new ones. In addition to looking at new products, you can build relationships, as well as learn from them about the different industry trends. There’s plenty to discover, all on the Market floor. Want to find some new merchandising and inventory selection ideas, all in a real-life setting? Visit Orgill’s two full-size concept stores on the Market floor. Here you'll find ideas of new products or categories you can add to your offering, as well as a number of ways you can display your inventory. You can even see some of Orgill's programs and services in action, such as the Hardware 101 program that helps you find any SKUs or categories you might consider adding to your product selection. At each Dealer Market, Orgill highlights the breadth of product it offers across categories with a selection of Product Showcases. These showcases offer not only suggestions of product you need in those areas, but innovative ways to merchandise those items in your store. Take a walk through these showcases to find ideas and to purchase product at a discount, which can enhance your bottom line. Your business is an independent one, with its own brand. Orgill understands that, and its Brand Building department works to help you implement the marketing strategies you need to promote that brand. It offers a number of marketing programs, including the proprietary BrandBase platform. At the Dealer Market, come by the Brand Building booth in the Retail Services area to learn more about the different options available to you for in-store promotional materials, print or electronic advertising and social media usage. Furthermore, find out about Orgill’s new eCommerce programs and how you can grow that area of your business. Whether you want to update a few categories or reset your store completely, the steps you’ll need to take to achieve your goal may seem complex. The Dealer Market is the perfect place to explore that process. Find out about the resources available to you, including Orgill’s proprietary Market Driven Retailing study; the Hardware 101 program, which can help you determine missing categories or products; or even the conversion process to update a current store or the New Store Program to build a new store from the ground up. Orgill knows every retailer is different, so its hundreds of retail services are offered on an à la carte basis. You pick and choose which options are best for you and your location. The Retail Services area of the show includes booths staffed by professionals who work daily with retailers on these different programs and services. Take a walk through this area so you can learn about the wide range of solutions available to you. Independent home improvement retailers from more than 60 countries around the world gather twice a year for the Orgill Dealer Market. This gives those retailers a networking opportunity unlike any other as they gather to talk about trends, best practices and various business strategies. Make sure to check in with some old friends and also take this opportunity to connect with those you haven’t met before—you might help each other find some solutions for each of your businesses. To continue to improve your business, it’s important to continue to learn. 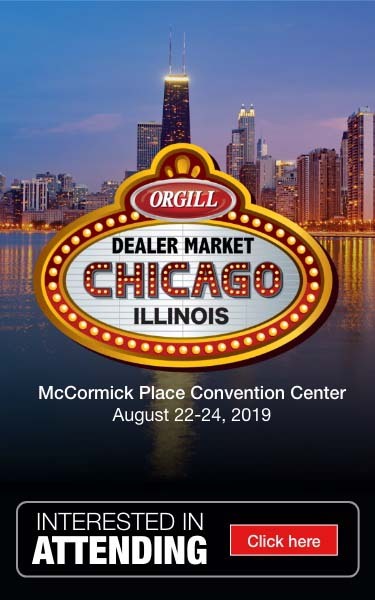 The Orgill Dealer Markets offer educational opportunities in the form of clinics and workshops that cover advertising, social media, e-commerce, financial metrics and more. Learn about the latest industry trends and updates, including detailed information about Orgill’s variety of retail services. These clinics and workshops also offer the perfect opportunity to network with other retailers interested in learning about the same topics.